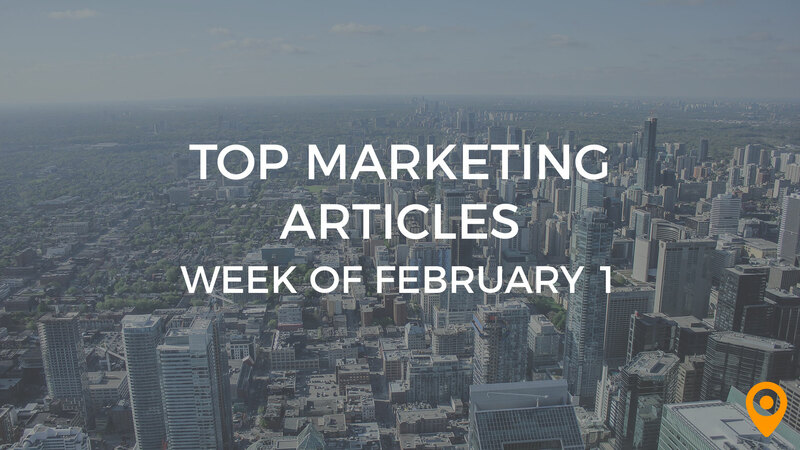 This week’s roundup includes tips to improve your Social Media strategy, make your Emails more engaging, and boost the performance of your SEO campaigns. Learn how to stay ahead of the curve with Content Marketing, and improve brand equity by leveraging Web Design trends. We’ve covered all of this news and, much more, below! Scott Julewitz discusses how to tie dollars to SEO. Stephen Akhterov goes over how to use social media effectively for your small business. Alejandro Uria shares nine communication tools to streamline your law practice in 2019. Nick Bosch goes over schema and answers frequently asked questions about it. Learn how to drive traffic and amplify the reach of your B2B Content Marketing campaigns, from Tom Whatley’s blog. Mike discusses how video Content, chatbots and voice search will influence the strategies of Content Marketers in the year 2019. Aaron Agius lists the top trends that marketers must adapt in the year 2019, to stay ahead of the Content curve. Chelsi Johnson discusses how tactics such as incorporating videos, creating snappy taglines and displaying your phone number clearly, can increase Conversions to your website. Follow the valuable tips from Allen Bayless to increase Conversions from your landing pages. Bryan Lim draws special attention to the trust signals that can help marketers improve the Conversion rates of their businesses. Evaldas M’s blog presents an overview of CRO and discusses the strategies that can improve your Conversion rate. Learn how to make your Emails more engaging, from Roman Kniahynyckyj’s blog. Carly Brantz highlights how personalized Email content, animated GIFs and dynamic content will dominate the field of Email Marketing in the year 2019. Follow the Email Marketing tips from Nicole Malczan to increase your open rate, click through rate and conversions. Souvik Banerjee offers useful tips to help marketers make their Email subject lines more clickable. Jose Cruz discusses how strategies such as creating a Google Place account, optimizing web page information and maintaining the consistency of NAP, can enhance your Local SEO efforts. Aarav highlights why it is imperative for marketers to have Mobile friendly websites for their businesses. Azib Yaqoob outlines the techniques that can help marketers to create an effective Online Reputation Management strategy. Brent Wildman underscores the need to incorporate embeddable images, include podcasting and implement a comments section, for enhancing your SEO efforts. Diona Kidd draws special attention to the major SEO changes that can influence the optimization strategies of marketers. Learn why SEO marketers must pay particular attention to the onsite content and offsite link building of new websites, from Sam Merritt’s blog. John Hughes’s offers guidance to drive website traffic and improve the performance of your SEO campaigns in an effective manner. Vanessa Charette offers guidance to help marketers align their Social Media strategies with their business goals. Charli Day highlights the strategies that can help marketers plan and improve their Social Media campaigns in the year 2019. Aaron Chichioco underscores the need to set relevant goals, segment audiences and understand the competitive landscape, for improving your Social Media strategy. Learn why it is important for Social Media marketers to select a particular posting schedule, perform A/B testing and create specific plans for different channels, from Hitesh Bhasin’s blog. Tom Lauck draws special attention to groundbreaking Web Design trends that marketers must leverage in 2019 to improve brand equity. Sherice Jacob highlights how realistic photos, bold illustrations and eye catching graphics will be integral to your Web Design strategies in 2019. Learn how to improve the scrolling experience of your website with UX Design, from Abdul Suleiman’s blog.